Quality Automotive and Smog in Truckee is your mountain auto repair and service expert for your Mazda vehicle. Our ASE Master-Certified auto mechanics recognize that Mazda manufactures performance cars that make you feel alive and require just the right tools, parts, and technology. That’s why Quality Automotive and Smog takes extra care to ensure our auto technicians have everything they need to meet the needs of your Mazda. Around the North Lake Tahoe and Truckee region, we tend to see all-wheel-drive models like the CX-3, CX-5, and CX-9. We know mountain vehicles need mountain maintenance experts which you will find at Quality Automotive and Smog. If your Mazda is showing symptoms of auto repair needs, this is a good indication that some work needs to be done. It’s essential that you take the time for an inspection. Neglecting these symptoms could lead to dangerous accidents or hefty repair costs down the road. The ServicePlus team at Quality Automotive and Smog are skilled auto repair technicians who attend 40 hours of advanced training each year. 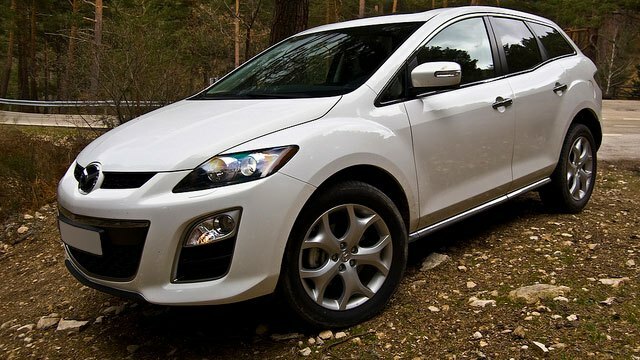 Our dedication to customers and providing the best service for your Mazda is second to none. From the moment you enter our state-of-the-art facility, you’ll discover that you made the right choice by choosing Quality Automotive and Smog as your service center. Check out what one of our superstar customers had to say about her experience at Quality Automotive and Smog in this review! “Knowledgeable and kind staff. Thank You for clean business!” -- Porscha B. You will not find a more qualified, honest, and friendly auto repair shop than Quality Automotive and Smog in Truckee. Whether you live in Tahoe City, North Lake Tahoe, Kings Beach, Carnelian Bay, or beyond, we are your home team for all things Mazda auto repair and service. We are loyal to our customers and encourage you to take advantage of our ServicePlus Red Check program that includes an extended warranty, free local towing, seasonal benefits, and a dividend program. We are conveniently located at 11500 Donner Pass Rd, Unit D, Truckee, CA 96161. It’s easy to find us and easy to find a good cup of coffee, food, or a new pair of skis/bike nearby while we work on your car. In the summer, you may consider borrowing our electric bike to tour Donner Lake while you wait. Open Monday - Friday from 8:00 AM - 5:00 PM, and closed from noon to 1 PM. Request your appointment online today!